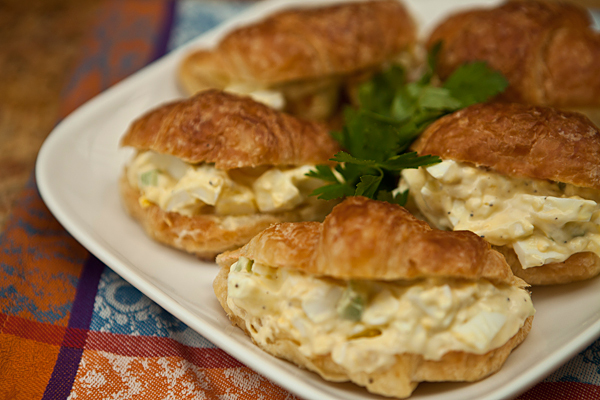 My granddaughter and I are both huge fans of egg salad sandwiches, and until recently I found myself avoiding them due to the calorie count when the egg salad is made with the usual mayonnaise mixture. 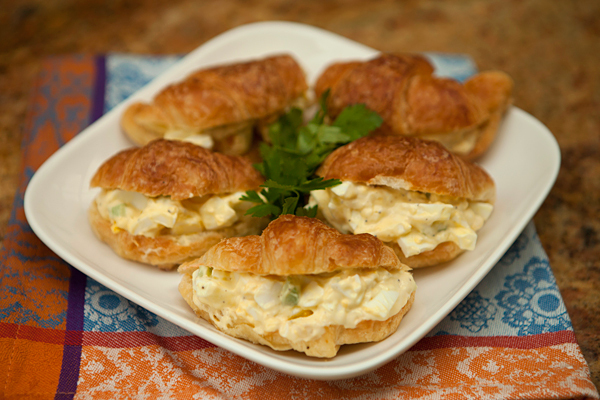 I recently made my lightened up version of egg salad for my granddaughter over the holidays and they were given a thumbs up by everyone who tasted them. In my lighter version, I use half the amount of mayonnaise, and use a light, oil based mayonnaise. To replace the mayonnaise removed, I use fat free Greek yogurt, and the combination is light and creamy. I’ve found that the best way to cook the eggs is to place them in a single layer in a pan with enough cold water to cover them completely. Bring the water to a boil, remove from heat, cover tightly with a lid, and allow to remain in the water approximately 15 to 20 minutes. Then place under running, cold water to cool quickly. This way of cooking is also known as “coddling”, and will not toughen the whites as boiling does. Using half light mayonnaise, and half fat free Greek yogurt keeps the fat calories to a minimum. 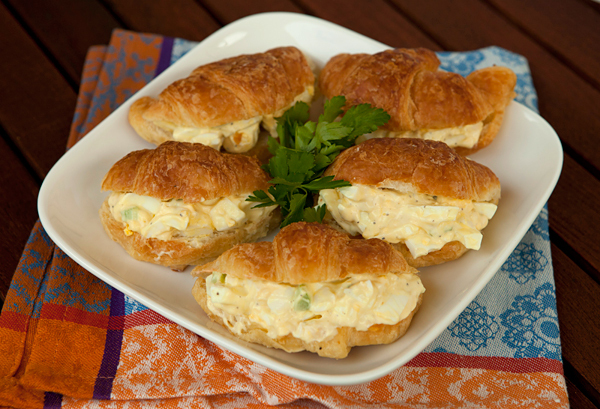 You can lighten this egg salad further by using half egg whites, and half whole eggs. Peel the eggs and place in a bowl, then chop the eggs. Add celery, green onions, mayonnaise, yogurt, Dijon mustard, salt, and pepper, and parsley, then stir until well mixed. Serve on whole grain bread or on beds of lettuce.